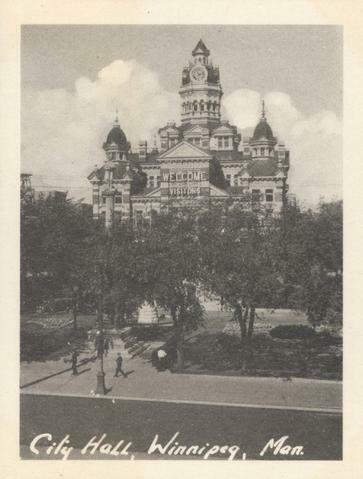 Photograph shows Winnipeg's second city hall (1886-1962). Date of photograph is approximate, ca. 1940.